Gorgeous footage shows wild dolphins truly know how to enjoy themselves. 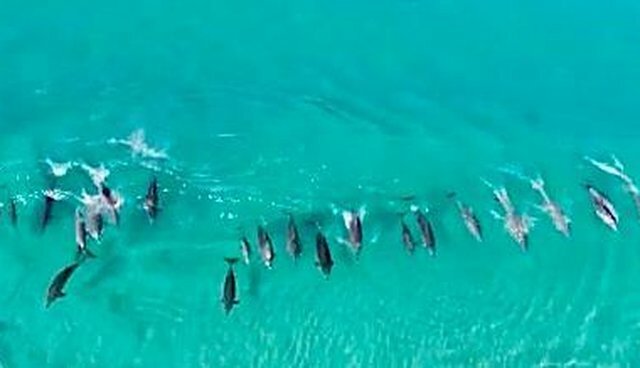 Off the coast of Australia, the video, shot by Riggs Australia with a drone camera, reveals a pod of dozens of dolphins surfing side by side. They're as complex as they are beautiful. Research shows that dolphins have highly evolved intelligence. With the capacity for complicated emotions, like humans, dolphins need to play, have fun and enjoy their freedom.